Harbor Real Estate is proud to offer you this large corner plot of 48,180 sq. ft. in a prime location directly on three roads and Sikka located at Al Hudaiba, Dubai. It consists of three independent villas two of them contain 2 floors, 6 en-suite bedrooms, 2 large halls, dining hall, 2 majilis and kitchen. In addition to another one-floor villa consists of 3 master bedrooms, 2 halls, dining hall, large majilis and kitchen. There are two external extensions for maids room, drivers room and preparatory kitchens. The villas have landscaped gardens plus play areas and plenty of indoor parking spaces. 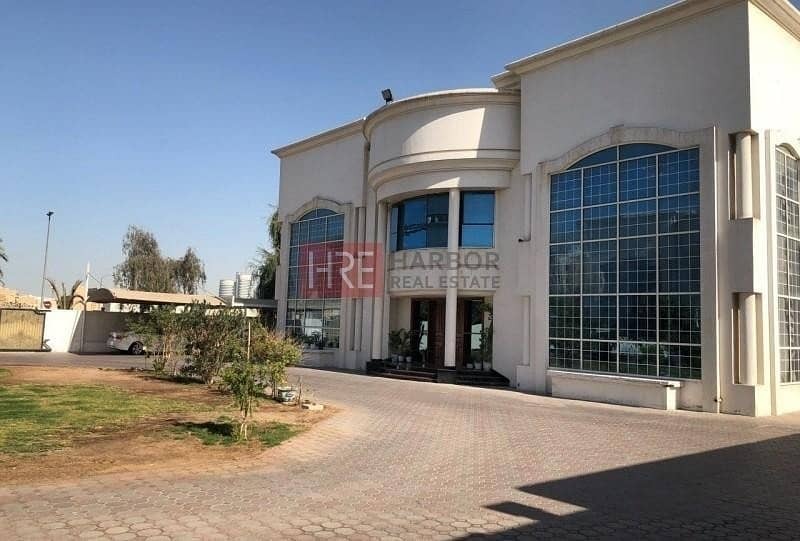 There is permission for compound villas on this plot which makes it a very attractive opportunity for investors to build townhouses or compound villa due to the privilege of being just close to Jumeirah Road, Sheikh Rashid Road and Mankhool Road.